Poster and t-shirt graphic design for local event. 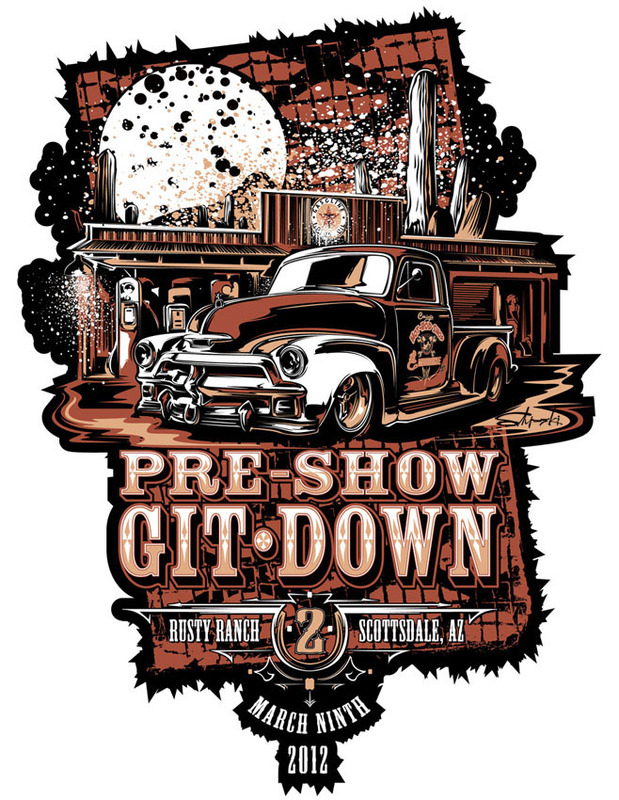 Poster and t-shirt art I created for a pre-car show party. Figured that, since it was being held at a location with some Old West flair, that I'd play it up in the design and colors.